I especially enjoyed his approach because, in many respects, it is the work that he and a few others have done (amplified by the media) that has helped unleash the beast of “concussion fear.” Focusing his research on this injury for over 20 years, he was one of the first to alert clinicians and others to the seriousness of concussions. With over 90 articles on the subject, it would be impossible in this space to give due credit to his contributions to the concussion literature. He was lead author on the JAMA study I still refer to in discussions I have with patients and families: Cumulative Effects Associated with Recurrent Concussion in Collegiate Football Players. He has been an author in CJSM several times: he has looked critically at postural stability assessment following concussion, for instance, and more recently (September 2013) he and others assessed The Effects of Sleep Quality and Quantity on Baseline Concussion Assessments. TED should get Dr. Guskiewicz to deliver the sort of talk I was privileged to see….wait, it has!! Take a look here at a ‘mini-version’ of what I got to witness. 1) We need to better identify those individuals who may have risk factors for sports injuries and chronic neurologic impairment. We might be able to alter those risk factors. We may be better able to guide such individuals in making appropriate choices for sport if we better understand those risk factors. 2) We need to “modify the behavior and change the culture,” (for instance, considering rules changes regarding violence and ice hockey). 3) We need innovative scientific approaches to identify more specifically the injury (e.g. biomarkers, novel imaging); prevent the injury (e.g. using impact sensors to train individuals in proper tackling techniques); and treat the injury (e.g. we currently struggle to find evidence-based approaches to concussion treatment). Dr. Guskiewicz did not answer his own question directly: “Sports concussions: paranoia or legitimate concern?” The way he marshalled his arguments left me with the notion that the injury is a legitimate concern, while our society’s reaction to it has trended toward the paranoid. I concur. “Navigating the twin perils of brain injury and physical inactivity,” that’s how I phrase it in my own talks. American football is the number one participant sport in high school students and other youth in this country. If we eliminate it, with what do we replace it? Kids certainly would be safer in front of an iPad as opposed to an opponent twice their size in an Oklahoma drill. But is the ‘clear and present danger’ to kids and others sport-related concussion; or is it physical inactivity and consequent obesity? There is some evidence that there is a decline in participation in organized youth sports. This is concerning. 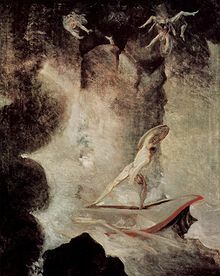 Odysseus famously survived his encounters with sea monsters, and other perils, by using his cleverness, his intelligence. We, too, can navigate our course with science, with evidence-based research. “There be monsters”–just look at how March is going out! But we need not be afraid. Fighting is such a part of hockey that plenty feel (for better or worse) that the game wouldn’t be the same if you cut it from the sport. But why does fighting have to be so pervasive? What good does it do the players, the team, or the entire sport?